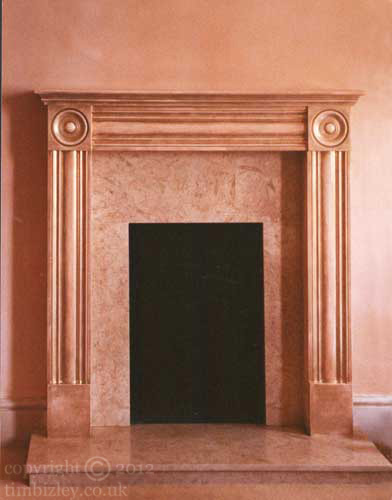 The effect on this fire surround was carried out to harmonize with the walls and fabrics of the room. Theses types of distressed paint effects produce a mellow finish that generally enhances any surface modeling and can thus bring about an enhancement of the best features of the furniture. The Shabby Chic look is achieved by using various synthetic and mechanical means to distress the paint effect techniques to create a time worn and mellowed piece of furniture. The look is highly customized with a hand painted feel and paint colours can be decided upon which will harmonize with fabrics and other design elements of the interior.